A faction of the All Progressive Congress known as APC Akida and members of APC Restoration group in Kaduna state on Friday dumped the ruling party. While speaking at a joint news briefing in Kaduna under the leadership of Mataimaki Maiyashi for Akida group and Jaafaru Ibrahim for Restoration, the two groups said that they decided to dump APC because the party had failed to meet the expectations of millions of Nigerians. The groups, who did not mention the new party they will be joining but said serious consultation was ongoing with political parties that share their values, added that they were satisfied with the position to dump APC because the party is incapable of accommodating criticism. Maiyashi explained further that the joint press conference was the culmination of extensive reviews and consultations over the state of the APC in Kaduna State as well as in the nation. “Members of our two groups have decided to leave the APC because it is incapable of accommodating and responding to well-meaning dissent, criticism and demands for inclusiveness and internal democracy,” Maiyashi said. “It has not lived up to the expectations of the millions of people who laboured to put in power, as well as Nigerian who expected that it will usher in genuine change. “We are hereby advising all our teeming members to formalize their withdrawal from the APC. We are engaged in serious discussions with parties which share our value and principles toward political collaboration that best suits our interests. 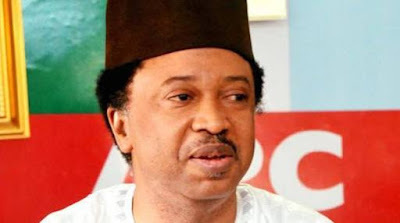 Premium Times reports that Shehu Sani, the senator representing Kaduna Central is a member of the Akida faction and has always threatened to dump the party. But he was not at the press conference.